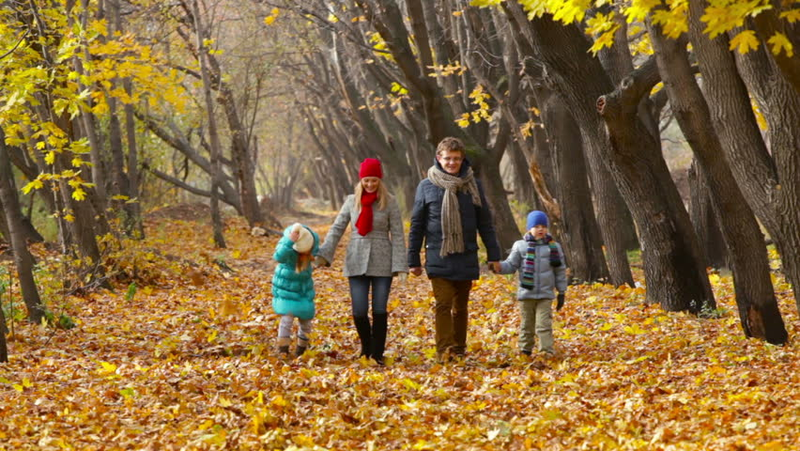 Autumn is the perfect time to walk. It is not too hot, but not yet too cold to still be able to enjoy being outdoors. But, you do need to be well prepared. Top of the list is a coat. Truly warm days are few and far apart at this time of the year. You need something that is going to keep you warm. But, it must not be too thick either. If it is you will end up sweating and feeling uncomfortable. A bomber jacket is ideal for Autumn. They look fantastic, almost regardless of what you wear them with and are great at keeping the worst of the wind off. For walking, look for the type that has a zip up pocket on either the arm or chest. This will enable you to put your phone or GPS in that pocket, so that it is close to hand. The zip ensures that these expensive items don’t fall out and break when they hit the floor. For wet days, all you need to do is to pop a lightweight waterproof on over the top. Ideally, you want to buy the type that folds up into a little pouch. Try to find one that has a built-in hood, elasticised cuffs and a drawstring at the waist or the bottom. In the autumn, boots are your best choice. Provided you are not planning to hike over rough terrain, a well-made pair of ordinary boots will be fine. Just make sure that they are waterproof. If they are not, you can easily fix this issue using a candle. You don’t really need to wear anything special to go walking. But, at this time of the year, it makes sense to dress in layers. That way you can change what you are wearing as the day warms up or cools down. It is important to wear clothes that are not so loose that they flap around or rub against your skin. Whenever possible you should choose fabrics that enable your skin to breathe and wick any sweat away. On cold days you will need a warm hat, gloves and maybe a scarf. When the sun is out, a hat with a brim worn with sunglasses will stop the glare of the sun and allow you to continue to see clearly when the sun is setting. Even in the autumn the sun can still get very hot. So, for those days, it makes sense to have a small tube of suncream to hand. It is a good idea to carry a bottle of drink and some snacks with you. So, a small rucksack is a good idea. If you have enough room, pop a jumper and a spare pair of socks and some under gloves in there. OK, so now you are ready for everything you need to go walking. Provided everyone has the above items they are good to go, regardless of what the weather does. These are all fantastic ideas. We like to take our nature journals too with us as the weather is still mild to sketch if the something takes our fancy. It is nice to sit and enjoy the last of the sunshine too before our dark winter arrives! Great idea, so much to see in nature at this time of year. I love autumn walks and its always nice when you're dressed appropriately for the weather then you can have fun. Wrapping up warm is definitely key to making the most of days out in autumn. We need to evaluate the girls wardrobes next, see who has grown out of what since last winter. Great tips, you definitely need to be prepared when you go out for walks with kids! There is always plenty of hanging about examining mud/puddles/leaves! Great advice! Just a little more preparation can make a big difference to how enjoyable the outing is, and how long you can stay out for.